Supremacy Of The Privileged Or Supremacy Of The People? The supremacy of the people stands as the corner stone of any democracy. The idea behind democracy as a concept in governance is that people ultimately decide the way they are governed. Democracy is a clear repudiation of the opposite concept where one man or a close elite of privileged persons take the decisions. True, a democracy can deteriorate into some sort of elite control after elections and this is not uncommon. On the other hand, the system allows for the people who, by revolt or otherwise, can bring such dysfunction under control. Bad governments are unseated at election time and the Opposition and media have the freedom to expose all erratic and corrupt rulers. Speaking in basic terms, Sri Lanka has enjoyed these freedoms for over 80 years since the Donoughmore constitution was introduced to the then island colony. Alas! on that dreadful Friday of the 26th October this great tradition (longest for any Asian country) was delivered a blow of huge proportion. The challenge to peoples’ supremacy came from none other than the highest in the land. None other than President Gamaralalage Maithripala Sirisena who, as common candidate of democratic forces, ushered in an era of promise that the rule of law and law and order will replace a lawless President and government. The promise of yahapalanaya was a just social order derived from law and order and accountability to the people. On that tragic day, President Sirisena, abrogated the constitution and began acting like a dictator. It was obvious he knew he was violating the constitution; he had the facility under secion 129 to consult the Supreme court if the action he was contemplating was acceptable in terms of the constitution. He did have recourse to that on a previous occasion when he wanted to be clear if he could have his term extended. This time, the President deliberately avoided that clarification because he had something sinister planned. 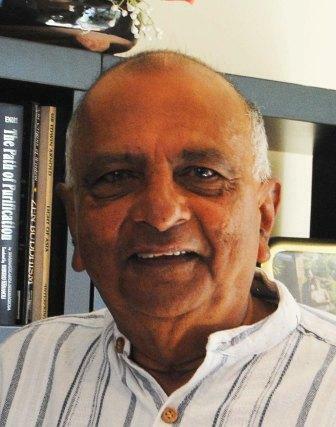 He sacked the Prime Minister, Ranil Wickremesinghe, which he had no authority to do. He appointed his former rival, Mahinda Rajapakse who the people had rebuffed in 2015. That was bad in law, again, and it also carried the evident risk of him being publicly shamed. Here was a total reversal of the mandate given by the people in 2015.From then on, the President went on a a serial breach of the constitution-one by one- thus leaving us all puzzled as to the end of this algorithm. He suspended the constitution. He dissolved Parliament. These acts were illegal. He appointed a fake cabinet and fake cabinet meetings were held presided by Sirisena, taking fake decisions that has the everpresent danger of being challenged by a citizen. For instance, the tax reductions and the agreement with China can be challenged. For six times in a row Parliament made it abundantly clear that the fake government does not command any any parliamentary support. The speaker announced that he cannot recognize as legal the new PM or his cabinet. Yet, it was not the President who listened. It is clear that President Sirisena cannot do all this alone by himself. He acts in conjunction and support from former President, Mahinda Rajapakse. Mahinda and his crooked men are equally accused of crime against the constitution. Not a single so-called Minister can be absolved from this responsibility. They are all guilty of a dastardly illegal and indecent act against the people. If Sri Lanka survives this crisis, retribution will come their way. Mahinda Rajapakse did have quite an electorally-wide attraction. This acquired -charisma was a result of the common perception that he had real character, which he employed to drown the LTTE in Nandikadal. That social capital he has destroyed by now. He who wore the face of a courageous lion is now looking rodent-given to winning by cheating. Members of Parliament-all of them- are privileged persons with attendance being paid for; with free luxury car permits and with free food and so on. This is not to reckon the commissions they dervive from giving benefits to special people. The remuneration of MPs are very high. They go about in plush vehicles with huge security retinues -all shamelessly before the glare and sighing of ordinary people. Ordinary people have to clinch onto buses absorbing the stench of sweat of other poor passengers and running the risk of being relieved of their wallets. Trains run with passengers hanging on perilously to the door entrances-and sometimes to the top. Ordinary people strive hard for a wage to keep the home fires burning. They cannot find schools for their kids. Now, here we observe the shameless conduct of the privileged of the privileged (the President and MPs of the Sirisena-Mahainda junta) who decide for themselves that they can do away with the constitution and rule as they are wont to do. The people had approved a constitution, which alone must be the guide book for governance. On the other hand, these privileged of the privileged, by their own whim and fancy decide to ignore the peoples’ document and mandate. These ‘super privileged’ have decided to boycott Parliamentary sittings since everytime they lose the confidence vote. They should really get out once they lose Parliamentary confidence-both the fake PM and fake Ministers. Yet, they continue to rule by unwanted force. On the other hand, this super elite do not boycott the free meals and the luxury rooms obtained at Diyawanna. The cat is out of the bag as one observes this by-force government trying to interfere with the cases against their men that relate to serious charges of murder, theft, financial embezzlement etc. The key investigator to quite a few of these crimes, Inspector Nishantha Silva, was transferred. Fortunately, the yahapalanaya people had introduced an independent Police Commission that was able to reverse this bad decision. They are hell-bent on interfering with the judiciary but that institution, made independent by the yahapalanaya people, is able thus far to withstand the pressure. Were it not, how could that magistrate become so fearless as to order the islands’s highest military defence person (backed by the highest in the land) to get off the witness box, which he mounted in Navy uniform, to give evidence in the serious case of the murder of 11 kids for non-payment of ransom. That magistrate has, reportedly, asked Ravindra Wijegunarathne if he was attempting to intimidate court with his official uniform and regalia. The Magistrate ordered him to go home and return in civil clothes. Ravindra, is in remand without bail until the 15th December. The magistrate refused a bail application. This is the stuff of Public servants that Sri Lanka needs so direly. In the country that I live (Australia) and Europe this is how Public Servants behave. They stand up for their institutions. The horrible development we now witness is the placement into power and office of the political leaders who are all facing serious charges of crime and corruption and who were rejected by the people. They may have been rejected by the people. What harm? They are accepted by the highest in our land. They have lost the popular mandate. What harm? They have the choice of the President. People support is starkly irrelevant in a forced government that is irrelevant. Where, oh where is your sword? President Sirisena went around the country during the local government elections exclaiming: “ I want a government without corruption… I will swing my lethal sword against anyone caught of corruption. Can somebody close to his ears and brain ask him; “your Excellency, are you delivering that on promise”? Having installed illegally those of the defeated regime accused of corruption President Sirisena is now mulling pursuing ‘corruption of the yahapalanaya crowd.’ Rajakarunayake in his column carried in Sunday Island ( 1/12) reminds us that the President has already in his hands the report of PRECIFAC Commission that recommended legal action on 34 cases where the parties named include former President Mahinda Rajapaksa and his brothers Basil and Gotabaya? President Sirisena, before he nets in the yahapalanaya government, can surely start of with that. But how can he do it when those blokes accused have been empowered by him to rule? Unlike SJ’s adopted land, Australia, where Elizabeth II holds the sovereign power, in Sri Lanka the sovereignty lies with the people. It would have been nice had SJ mentioned this in his article. Alas! Succeeding politicians have shown scant respect in this regard. We need not go behind various anecdotes. All politicians should not fight shy to go before the people. Britain, has enacted a law mandating fixed term of Parliament and can be dissolved before only if 2/3 or more of MPs agree. When Theresa May, the UK premier, proposed to dissolve parliament and hold elections MPs across the divide agreed. That is the spirit of the politicians over there. SJ had the occasion to praise the conduct of a magistrate. In old Ceylon, if one were to comment like that, yet for all one can get hauled for contempt and there were a few instances of that kind in the past. I do not know whether Australia has changed its posture in this regard. Let judges do their job without fear or favor devoid of public comment of praise or blame. Thanks to all people who fought for democracy to prevail…. It is learned that 5/12/18 .. It old cabinet will be reinstalled once again. Poor M&S did not foresee all this .. I think all this took place for a good reason..
Now …no one can play with constitution in Sri Lanka . People know about it ..
Now; people know who are good and who are bad people in politics ..
Let us send all bad apples home in next election . Let the rule of law prevail ..
Let peace prevail in Sri Lanka..
Let is build the nation from. Now on ..
Let us forget and forgive all. It is a human nature to make mistakes .. I cannot agree with you, “Good Sense.” In a land where one sees only vile and dishonest leaders everywhere at least let us publicly commend the few who are exemplary and good. If we ignore that responsibility we encourage the bad for the bad will drive out the good. 2. In Australia, the Queen of England is only a token head. The sovereignty of the people is very much on display. Dear SJ. Sovereignty of people is not merely the voting right plus governing good and one may think that sovereignty of the people is very much on display because there is no problem. Yours is a land where once the GG sacked the PM. If that decision was right then that is the safety valve available in case where, as per your identification, the token head’s representative showed what his token was. If the decision of sacking was bad then it is clear that all Australians had bear with the sovereign power of the Excellent representative of the Majesty. In Canada, the then premier Stephen Harper had a hard time to convince the so called token’s representative to prorogue the Parliament in circumstances where for a few days the premier could not show his majority in Parliament. Perhaps Stephen Harper copied from the then President CBK of Sri Lanka and learned lessons from the defeat of Mrs. Bandaranaike in the NCM of 1964. I mostly agree with you when you say that where there is vile the exemplary must be commended. But I do not think that should be extended to those in judiciary because the honest fellow immediately gets branded into some group. Thus the essential ingredient that justice not only must be done but must seem to be done gets affected and that is why in old Ceylon, where you were once in, people have got hauled up for contempt for praising the judge. It was even in the papers that a prosecutor in the yester-year of old Ceylon had praised the good qualities of the judge in one sentence of his opening remark. But that was enough to get into a mess. Shyamon mate, Gillard to Rudd, Abbot to Turnbull had nothing to do with people’s sovereignty, just popularity in the old boy’s club. And we all remember how Gough Whitlam was fired, some of us follow the real politic. Is Ranil the most popular leader in the UNP ? Is Ranil the peoples choice in Sri Lanka ? 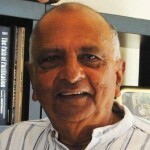 Then what has happened in the UNP ? Also how is the world being told that Ranil is the people’s choice ? Everybody must study how this fake leader has operated and continues to hold his position . RE:Supremacy Of The Privileged Or Supremacy Of The People? Did you mean Supremacy Of The Privileged CROOKS Or Supremacy Of The REPRESENTATIVES OF THE People? Traitor, Quisling Sira swings the sword at Ranil ducks, slashes Mahinda, and swings back to Sira, boomerangs, to slash Sira’s balls. Pretty soon, Traitor Sira will be self-castrated . A little confusing, because some of the Privileged CROOKS are also REPRESENTATIVES OF THE PEOPLE. Remember, the mean IQ of Sri Lanka is 79, and that makes it easier for the crooks. It is the Supremacy of “those 109” who are in Kotte as well as in the Archives of Yahapalana Presidents Safety Box…. Mr Shaymon must have got his wires crossed along the line.. In recent memory Shyamon, we never had this “Supremacy Of The People”. We have forgotten what it is. We have always had this “Supremacy Of The Privileged”. Some seventy years back we were promised an egalitarian society. Some of the ‘privileged’ were knocked off their pedestal but a new class of privileged evolved. The Colombo based ‘privileged’ coalesced into elites adding a few as time went by. We, ‘the People’ could only gawk. Now we have a few ‘Supremely Privileged’. They have no scruples, have everything one wants except peace and happiness. Democracy is built on the pillars freedom and people power. Downfall is economic distribution of this system is helping to widen the gap of economic disparity. In communism the economic disparity is minimum as well as the freedom. I believe the middle path suits us better like we thought in 1972 when we named our nation. The elite were pushing the country towards democracy and the JVP and other socialist parties exerted pressure towards communism. Hence our country name became Democratic Socialist Republic of Sri Lanka. Now it’s high time to review the state of our nation and reduce the gap of economic disparity. We are still not too late. For this to work the Top and the bottom needs to be less greedy. We need to find a formula to eradicate poverty and give everyone access to quality healthcare and education.